It does not take a keen observer to recognize that we are addicted to mobile phones. At home, in public squares, at bus stops, in subways, on trains and planes, on bikes and in cars, in short everywhere, both young and old type and swipe to communicate. This universal social activity was made possible by the extraordinary and continuing progress in wireless technology, starting with the bulky first‐generation (1G) analog phones of the 1980s, the second generation (2G) digital phones of the 1990s, the sleeker third generation (3G) phones of the 2000s, and the tactile fourth generation (4G) phones that mobilized the internet. Over the span of a few decades, mobile communications technology and services have become an important part of the global economy. The Eduard Rhein Foundation has recognized the impact of wireless technology through several awards. The 1986 Technology Prize was awarded for digital sound broadcasting via satellite; the 1997 Technology Prize was awarded for the development of the GSM digital cellular telephone system; the 2000 Technology Prize was awarded for ALOHANET, the first radio network for wireless internet access; the 2006 Technology Prize was awarded for Digital Video Broadcasting (DVB) technology. During 1990‐2006, when interest rates were higher than today, the Eduard Rhein Foundation had a Basic Research Award. The second and last of these awards recognized work that played important roles in this year’s Technology Prize, namely the 1991 Basic Research Award for fundamental research on information theory, and the 2006 Basic Research Award for Orthogonal Frequency‐Division Multiplexing (OFDM). On October 14, 2017, the Board of Curators of the Eduard Rhein Foundation unanimously recommended Dr. Rajiv Laroia for the 2018 Eduard Rhein Technology Award for his pioneering work on Flash OFDM as a forerunner of 4G Mobile Communications. Flash is an acronym for Fast Low‐latency Access with Seamless Handoff. 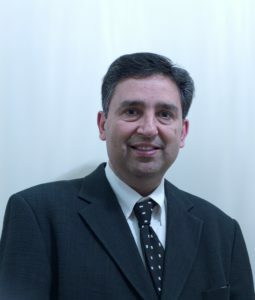 Rajiv Laroia was born in Pune, India, and studied electrical engineering at the Indian Institute of Technology (IIT) in Delhi from 1980‐85. He began his engineering career in Munich in 1985 at the Central Research and Development Labs of Siemens AG. He then moved to the University of Maryland, College Park, in the United States for his Master and Ph.D. degrees. Already during his Ph.D. studies, Laroia made outstanding contributions to communications, especially to voiceband telephone line modems by inventing pre‐coding and shell mapping methods that were motivated by Claude Shannon’s information theory. His ideas were quickly included in the V.34 worldwide standard, a remarkable feat for a young doctoral student. Laroia joined the Math Center of AT&T Bell Labs in 1992. He was promoted to department head in 1997, where he worked on OFDM‐based cellular wireless systems. Laroia developed Flash OFDM in the context of the evolution of cellular voice technologies to wireless data (Internet Protocol‐ or IP‐based) technologies. He recognized that supporting IP data required a new system design for two reasons, first ‐ the intermittent, bursty, and high rate nature of packet communications and second – the unreliable nature of the wireless link due to impairments and interference. He further recognized that an OFDM based air interface would provide the best platform because of its flexibility in assigning time and frequency resources. Laroia founded Flarion Technologies in 2000, a company that led the transition of cellular networks to 4G data access systems based on OFDM. During his time at Flarion, Dr. Laroia made numerous inventions including a hold‐state for mobile devices, tying acknowledgment feedback signals to resources rather than users, transmitting cross‐band beacons, single carrier OFDM signaling, and opportunistic beam forming. Many of his inventions can also be found in the 4G Long Term Evolution (4G LTE) standard. He has over 350 granted patents and over 350 pending patents. Flarion grew to over 250 employees and was acquired by Qualcomm in 2006. Through Flash OFDM and Flarion, Laroia is perhaps the single most important person behind the transition from cellular voice access systems to data access systems based on OFDM. He has received numerous industry awards and is a Distinguished Alumnus of IIT Delhi and the University of Maryland, College Park. Today, Laroia continues to innovate to satisfy his restless entrepreneurial spirit. He recently cofounded the company Light that is developing revolutionary multi‐lens and multi‐sensor computational cameras.